Cheshire Cat Pattern and new SHOP! So, by popular demand (LOL! 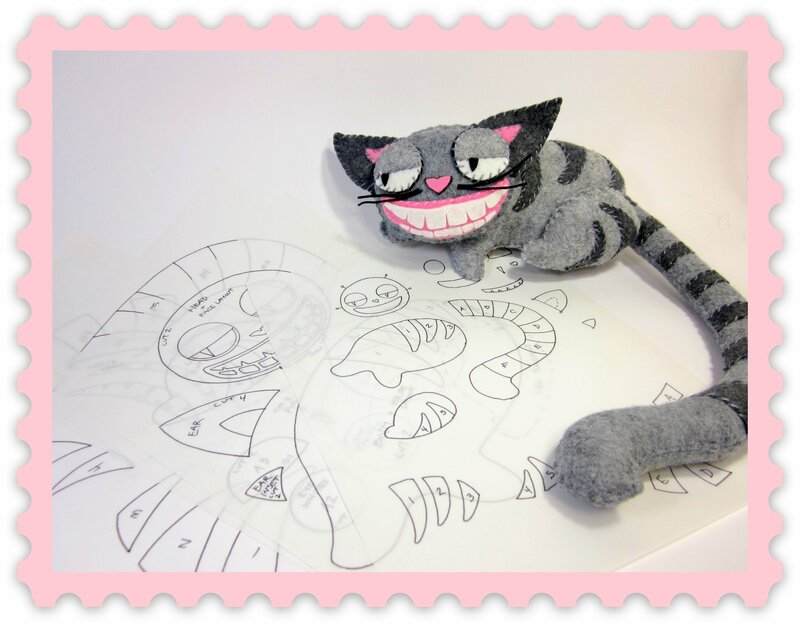 ), I’ve decided to offer a pattern of my Cheshire Cat plush. It’s the first thing I’m listing in my new Etsy shop, offering patterns, kits, destash and supplies. It’s called Violetstash. I’m starting off with this pattern, in 2 sizes, offered as a PDF file via email. Very soon I plan to offer it also as a kit, and as a hard copy pattern. There will be more patterns to come!! Chic so Chic’s new blog! !